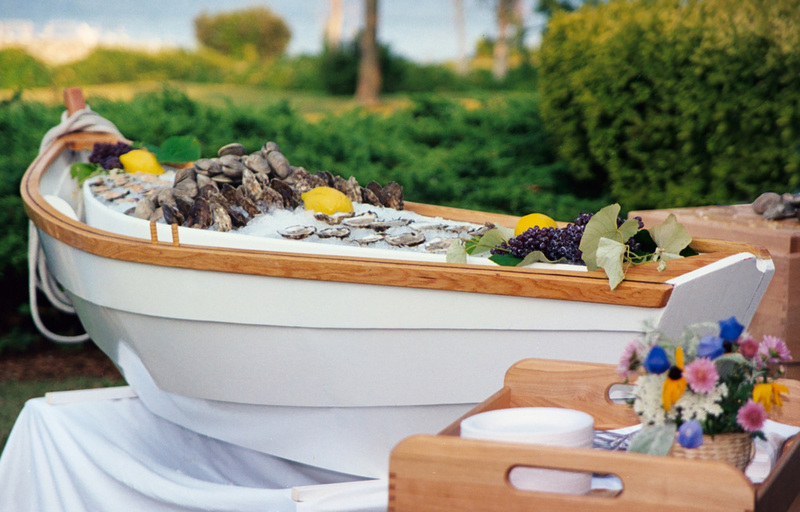 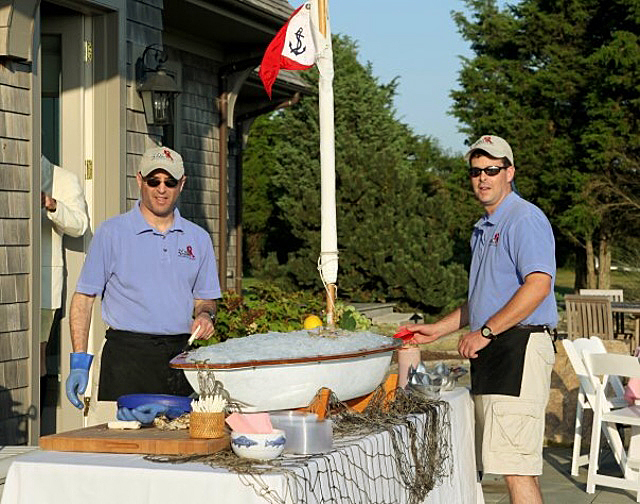 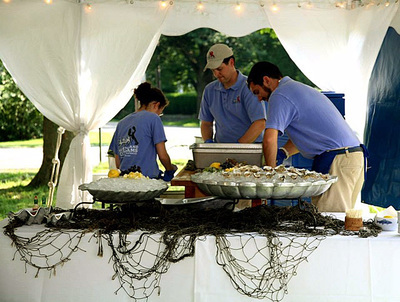 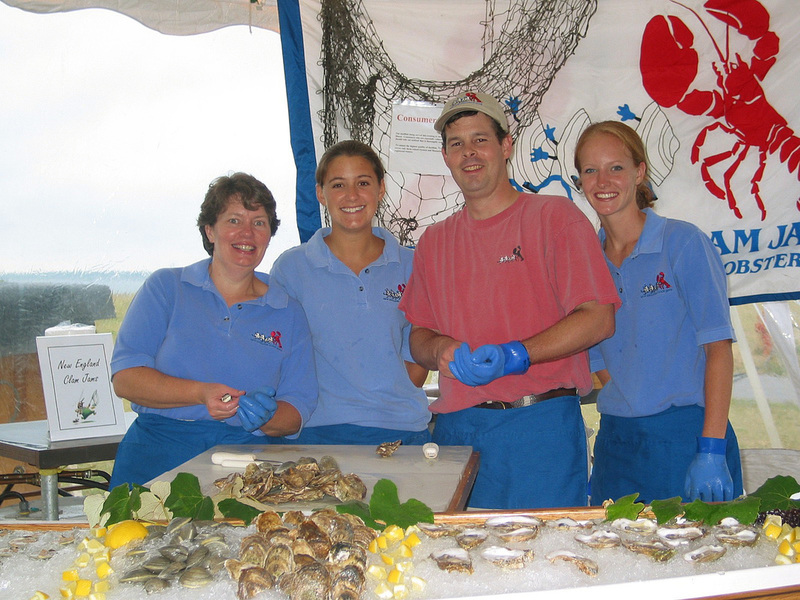 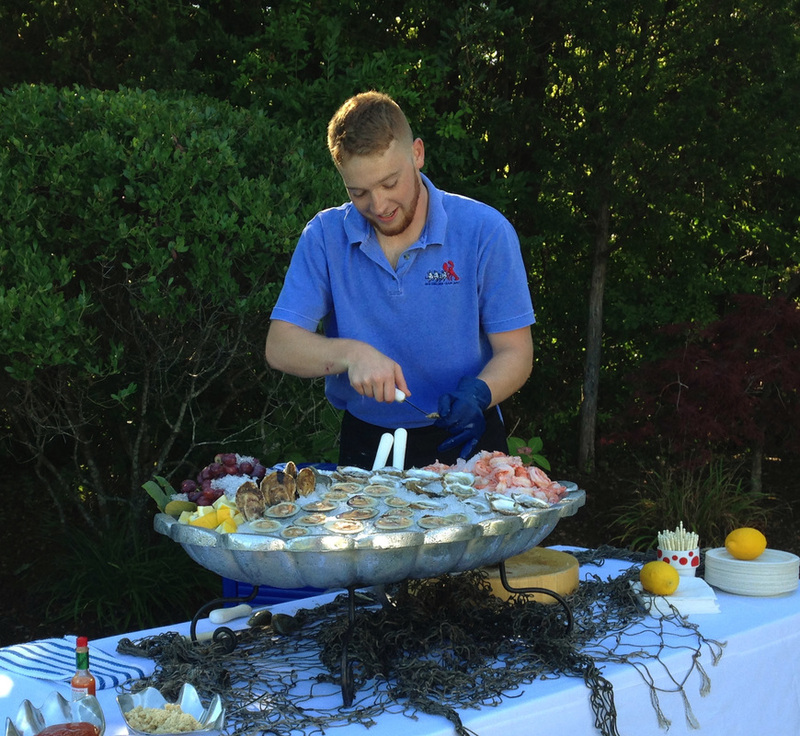 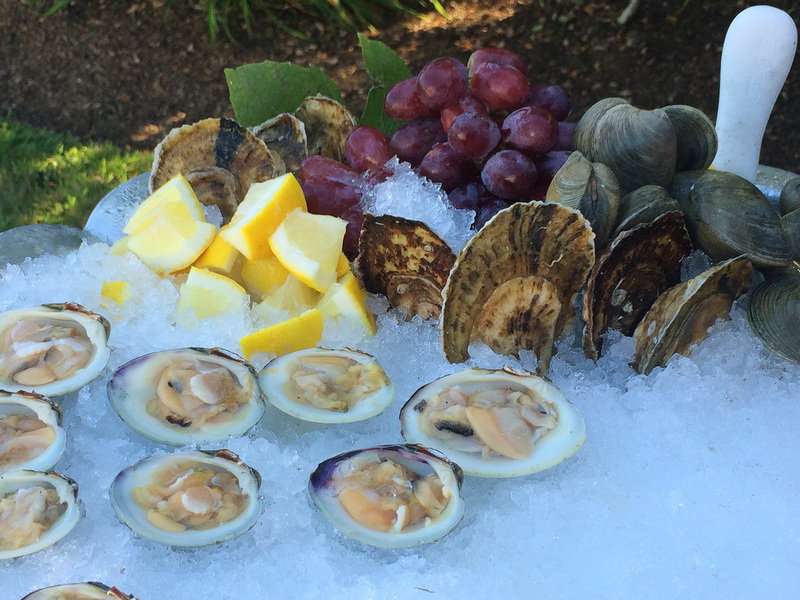 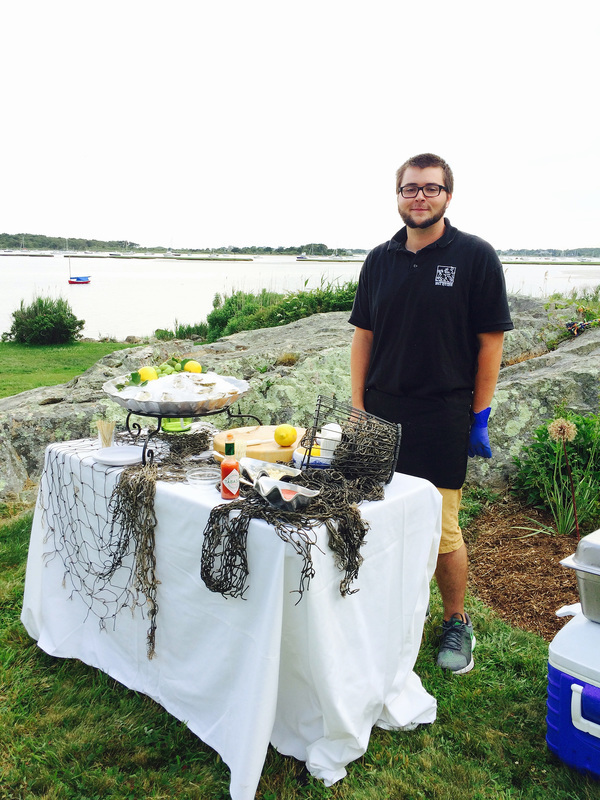 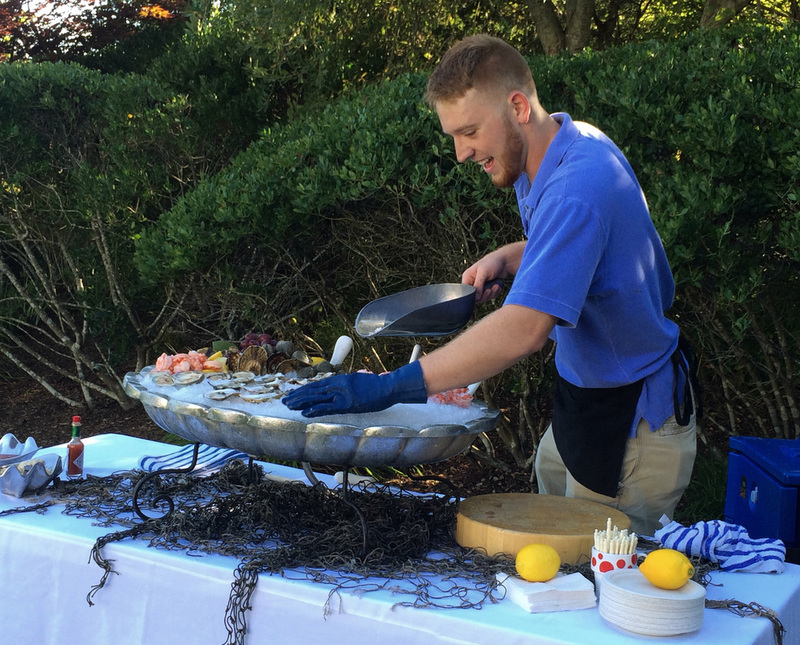 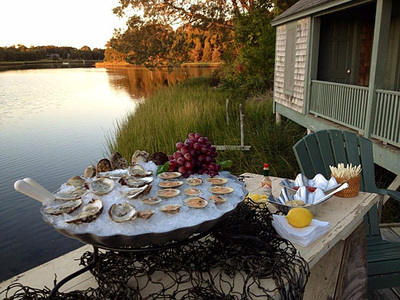 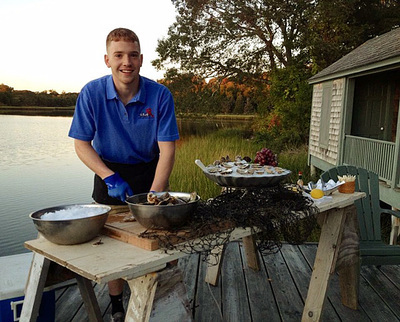 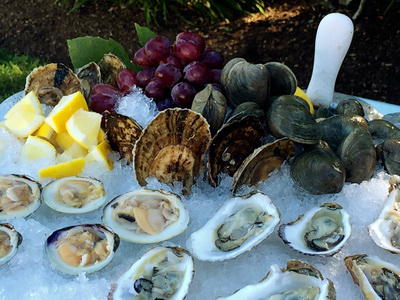 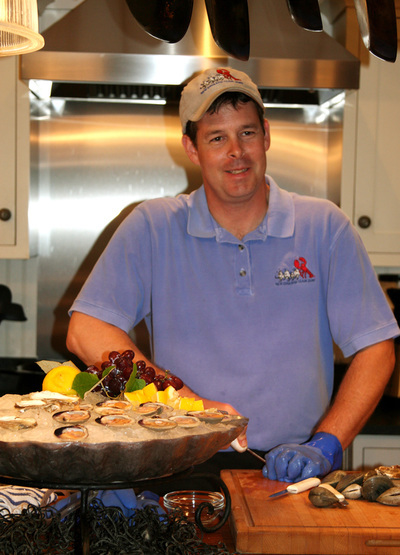 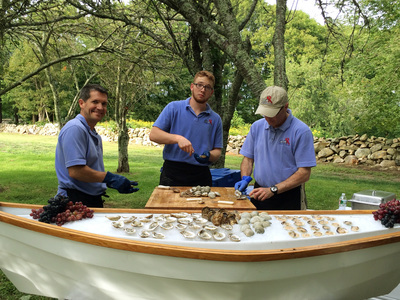 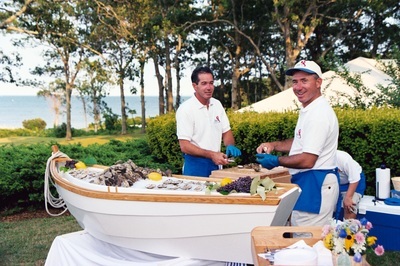 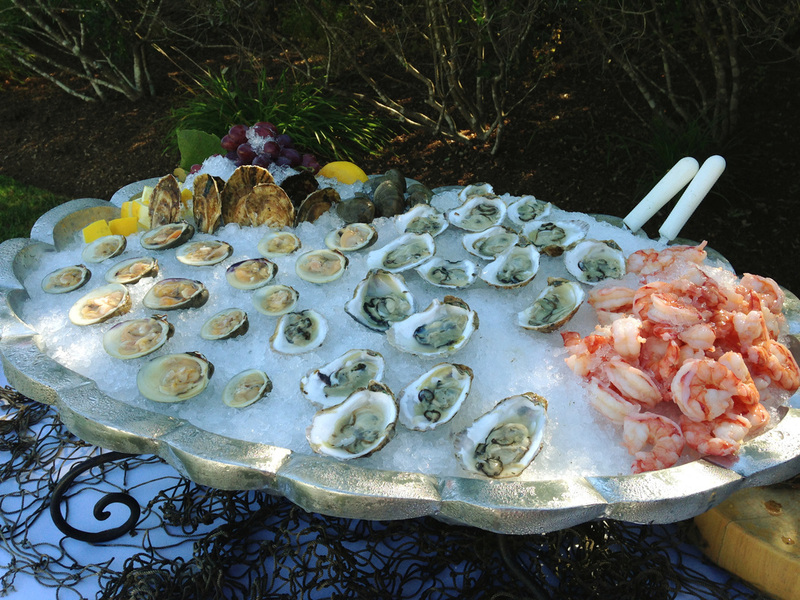 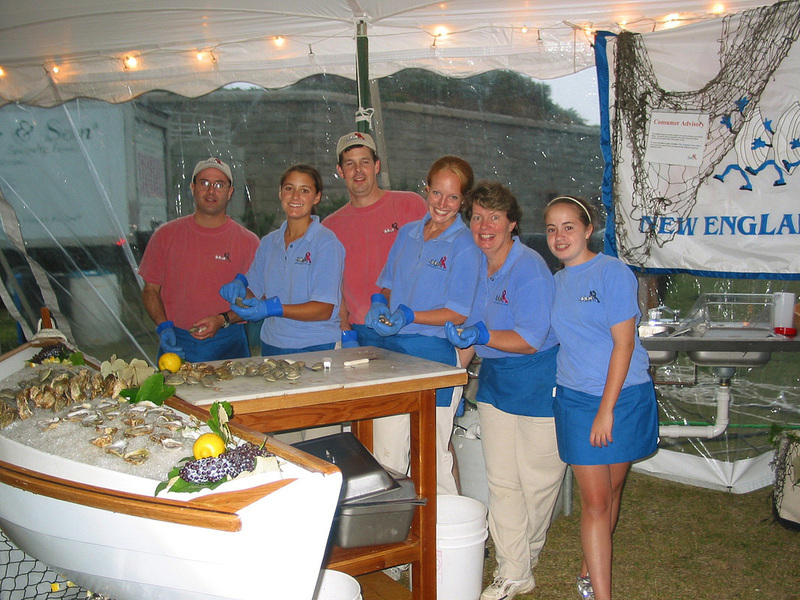 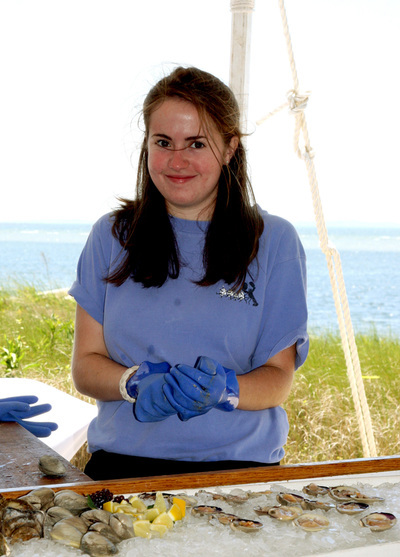 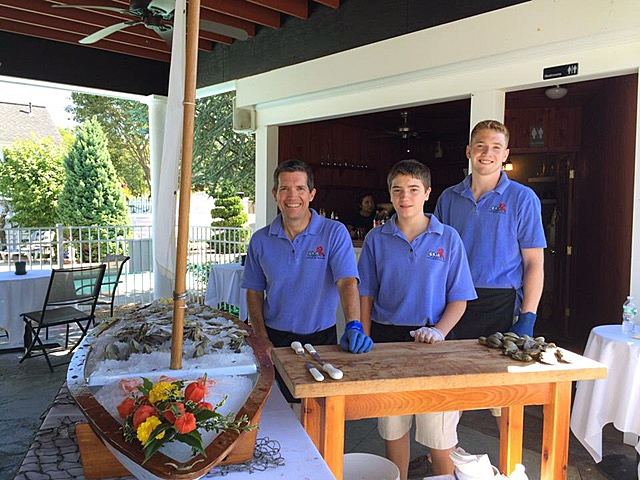 Our raw bar boasts sunken ice beds laden with Buzzards Bay littleneck and local farm-raised oysters on the half shell. Our shuckers will keep up with the most ardent shellfish lover. 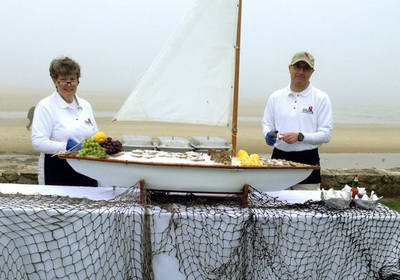 ​We are pleased to offer you four unique raw bar set ups. 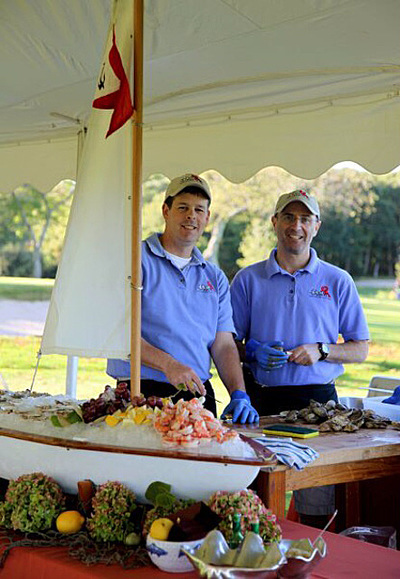 You may choose our magnificent 10 foot dories, our six foot sailboat, our mahogany raw bar table with sunken ice beds and granite cutting boards or opt for our beautiful selection of raw bar shells. No matter which you choose it is sure to be the hit of your event.